Land Rover is launching three new Range Rover special edition versions as the current model celebrates its 10th anniversary. The TDV8 Westminster, TDV8 Autobiography and Supercharged Autobiography go on sale in March with prices starting at £69,995 for the Westminster. The two Autobiography models cost £84,295 and £86,895 respectively. 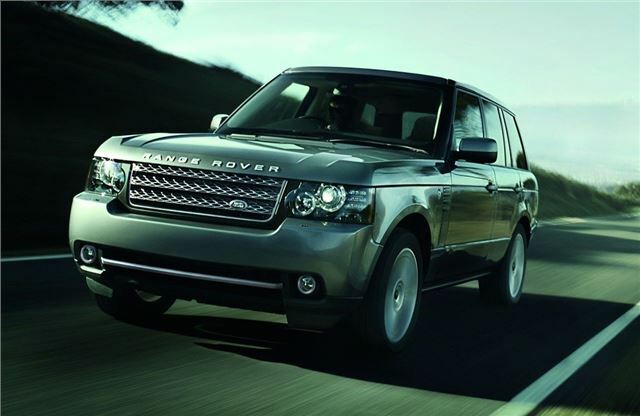 The Range Rover Westminster Edition replaces the previous TDV8 Vogue and Vogue SE models. It comes with a bright 'Noble' finish on the grille and side vents, 'Titan' silver fog lamp bezels, 20-inch 10-spoke alloy wheels and 'Westminster' badging. Inside there are illuminated treadplates, luxury carpets and Grand Black lacquer trim. The front seats are heated and cooled plus there's a harman/kardon LOGIC7 surround sound system as well as Range Rover’s Dual View infotainment screen. Powered by the excellent 4.4-litre TDV8 engine with an eight-speed automatic transmission, the Westminster Edition is available in seven colours, with five interior colour combinations. Standard equipment includes an electric sunroof, automatic headlights and windscreen wipers, Park Distance Control with rear-view camera, memory setting for the steering wheel, driver’s seat and rear-view mirror and a heated, leather trimmed steering wheel. TheTDV8 Autobiography and Supercharged Autobiography both get the Range Rover Design Pack which includes new bumpers, integrated stainless steel exhausts and side skirts. There are also 20-inch alloy wheels in Shadow Chrome. Inside, it's fitted with the Seat Style Pack which features recline and lumbar adjustment, heating and cooling functions and multi-adjustable aircraft-style headrests with wings for added support. The passenger 'front seat away' function provides a simple control for adding extra rear legroom. Both Autobiography models get the harman/kardon LOGIC7 surround sound system and illuminated treadplates. Seven paint finishes are available along with an extensive range of interior colour and trim combination options. The TDV8 Autobiography has the 4.4-litre engine and eight-speed automatic transmission, with the Supercharged Autobiography powered by the 5.0-litre V8 petrol unit with six-speed automatic gearbox.